There were almost 50 attacks and acts of vandalism against religious sites in France documented in the month of February, according to Observatory on Intolerance and Discrimination against Christians in Europe. One of the worst occurred at the historic Basilica of Saint-Denis, just north of Paris. Notre Dame is going up in smoke.It does make one wonder if this is Sudden Jihad syndrome as well. I will be SHOCKED if it’s NOT who everyone THINKS it is! NOOOOOOOOOOOOOOOOO!! That would reveal insane immigration policy by the French Government!!! I’d give it 10% on a Muslim not involved in construction, 30% a deliberate act by a Muslim involved in construction, 30% a careless act by a Muslim involved in construction, and 30% stupidity by a non-Muslim. A little over 20 years ago I was working at a Catholic Church that went up in flames while the roof was being worked on. The thing was mostly brick, but the wood that there is is really well seasoned and well positioned for getting loads of oxygen. Someone had come to the rectory door so I dashed around through the sacristy, grabbed a fire extinguisher, and opened the door to the sanctuary, expecting to see a hymn book aflame on top of votive candles. Opening the door let oxygen into the main part of the church, and the sanctuary ceiling rapidly burst into flame, and the front doors of the church blew open. I retreated to the sanctuary and called 911 and hit the intercom. The walls still stood at the end of the day, but there was no chance of saving the roof. These Churches survived revolutions and world wars but will not survive Islam and Multicultural rot. It’s all kind of academic at this point. The Moslems are taking over France. They are not waiting until they out populate them with their large broods. The last clash will be between the Mussulmans and the Yellow Vests. The Deep State in France which is pretty much congruent with the Overt State is paving the way for the takeover so it won’t be quite so violent as could be expected. The real violence won’t come until after Sharia is decreed. can they all be construction accidents? Sooner or later the US and European governments are going to realize that Islam has been at war with us all for quite some time. And the front lines aren’t in the Mideast. They are in our countries, on our streets, in our homes, churches and businesses. And you can’t fight a war with a local police force. Especially when you have allowed enemy agents into the ranks. It was a previous target of Muslim arsons. Less than one month ago, on March 19, the historic Saint-Sulpice  the 2nd largest church in Paris (next to Notre Dame) was set on fire in what police say was not an accident. There is a great series I discovered while perusing documentaries from the library. It is called Civilisation: A Personal View by Kenneth Clark . Mr. Clark chronicles the history of art in Western Europe from the fall of Rome to the present day. He makes the case that the most genuine output that a Civilization produces is reflected in its art. 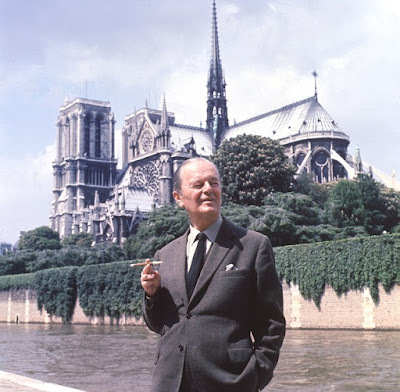 In one of the beginning episodes he is standing in front of Notre Dame. He says that while its hard to define what a Civilization is he can certainly recognize when he sees it, and that Notre Dame is an excellent example of it . 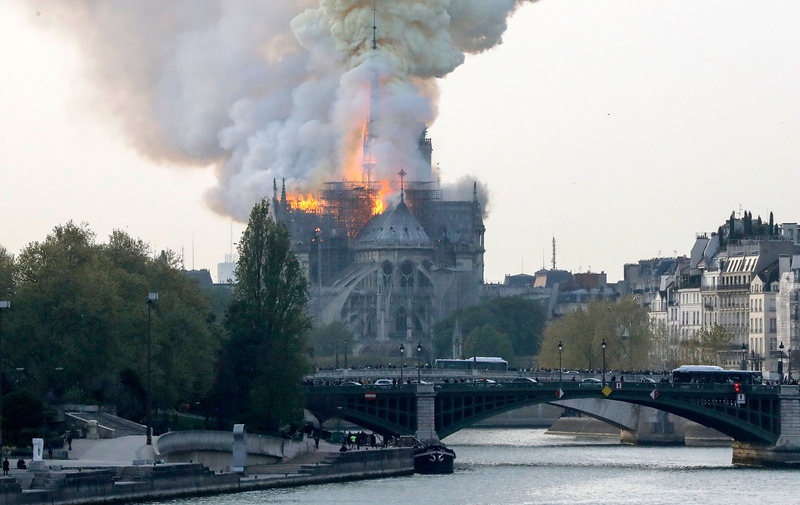 Whether it turns out this fire of Notre Dame was accidental or Sudden Jihad Syndrome, Europe has foolishly and cravenly opened its doors to the same people that have been struggling to take Europe down for 14 centuries. This fire is now a prime example of the fall of Civilization in Europe . Its a good thing Kenneth Clark did not live to see it, even if he clearly saw the decay of art that is modern art. I might add the BBC came out with a sequel to this called Civilisations Its very much enamored with the utter decay of art which now is hostile to the progress and rational thought that was the hallmark of Western Civilization. Any surprise the BBC felt the need for that addendum to the original series.